888 Holdings has entered into a partnership with Mount Airy Casino Resort via the All-American Poker Network to provide online gaming in Pennsylvania, in the event that legislation passes allowing iGaming and online poker in the state. 888 would use Mount Airy’s interactive gaming license to launch an 888-branded site in Pennsylvania, the AAPN confirmed to USPoker.com on Wednesday. The launch of such a site is contingent upon iGaming becoming regulated. The AAPN — a joint venture between 888 Holdings PLC and Avenue Capital Group — is already active in New Jersey; 888’s software powers Caesars’ offering and and the Multi-State Poker Network in the other regulated markets in the U.S. — Nevada and Delaware. USPoker.com also contacted Mount Airy, which officially had no comment on the report. A report from EGR North American (p/w) had comment from 888 Holdings. Mount Airy + 888 = ? The Mount Airy/888 deal wasn’t really on the radar for online gaming in Pennsylvania. At a 2014 hearing in front of the State Senate Committee on Community, Economic and Recreational Development, Mount Airy was the only casino that did not send a representative. The deal came to light because of a House Gaming Oversight Committee hearing, entitled “How to Keep PA’s Casinos Competitive,” held at Mount Airy Casino Resort on Tuesday. Not shockingly, iGaming was presented as the main way to accomplish the hearing’s title. David Licht, executive chairman of the AAPN, appeared at that hearing to answer members’ questions; the AAPN’s deal with Mount Airy came to light publicly at the hearing. He said that the deal had been in the works for more than a year. Licht said the committee hearing went well, from his perspective. He presented a bullish revenue estimate to the committee members of $100 million. Under one of the bills, an iGaming license would cost $5mm (12 casinos could apply for such licenses). Tax revenue, based on predicted revenue and tax rate under an iGaming bill, would be in the neighborhood of $40mm, Licht told the committee. Pennsylvania faces a deficit of $2.3 billion. Licht’s talking points in front of the committee drew on his experience in New Jersey, he said he hit on a number of issues. Pennsylvania’s population — about 45 percent larger than New Jersey’s — is a reason to think PA will have even more success with iGaming than NJ has. iGaming operators will do a better job at marketing customer acquisition because of experiences in other states. Television advertising will be more effective and cheaper in Pennsylvania; because of the nature of the state and its markets, ad buys in New Jersey have to include New York and Pennsylvania. Although geolocation for iGaming customers has been successful in New Jersey, it’s much easier to deal with in Pennsylvania. Parx Casino and GameAccount Network announced their relationship earlier this month. bwin.Party is partnered with an unnamed casino. There are certainly many other possible casino/online gaming partnerships that could still develop in the state. It is of note that that 888 did not team up first with Caesars-owned Harrah’s Philadelphia. 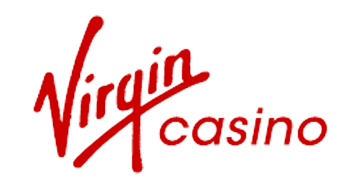 888 is Caesars’ partner for iGaming in Nevada; WSOP.com and 888 share liquidity in New Jersey. Licht noted that this deal does not preclude 888 from providing its software for use with a Caesars/WSOP branded site. Recently, State Senator Jay Costa, (D-Allegheny County) said he would be willing to consider these bills, which is notable since all the iGaming legislation has originated in the House. Elephants In The Room: Will GOP Presidential Candidates Support RAWA?